This THP is about 11 miles east of Trinidad, CA and a few miles south of Redwood National Park, near the Headwaters of the Little River. 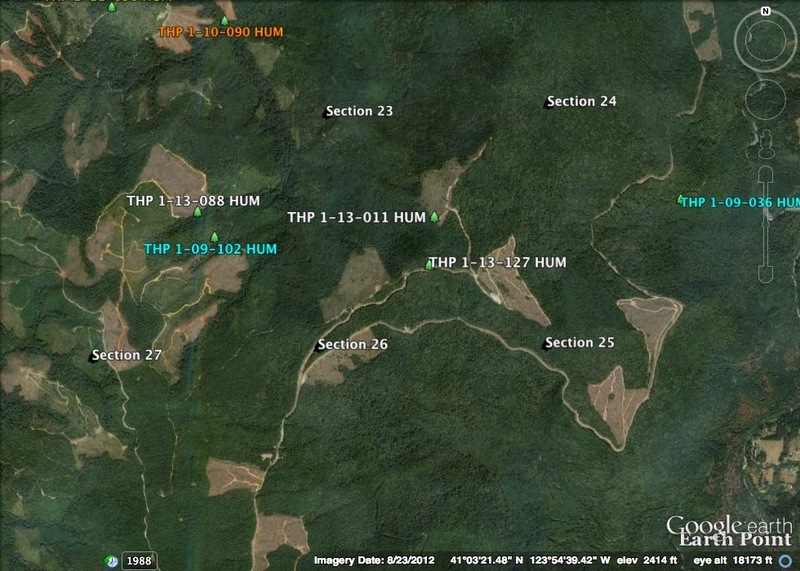 Green Diamond Resource Company is planning a mostly clearcut shovel, feller buncher and cable logging operation in Douglas fir and redwood forests. The THP area drains into Redwood Creek which is listed as impaired for sediment and temperature, and contains coho, chinook salmon, steelhead and coastal cutthroat trout. 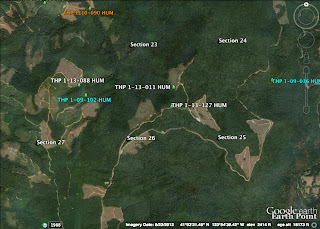 There are 9 spotted owl territories within 1.3mi, with the closest territory being within .5 mi of units D and E. This THP is also close to Green Diamond Resource Company’s mostly clearcut THPs: 1-13-088 HUM and 1-13-011 HUM. More information is available on the THP Tracking Center website.